WELCOME to RGA. We are dedicated to providing the highest level of patient care. 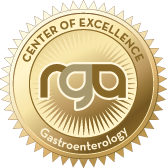 Our board-certified Gastroenterologists have trained at renowned international centers, and our Center of Excellence delivers a comprehensive, patient-focused approach to meet all of your digestive health needs. The end result, better outcomes for our patients. With Patient Portal, you can connect with us through a convenient, safe, and secure environment.